Edit: Because my new account cannot post links, if you search the description above on google the CL post should show up with photos. Thanks again! Last edited by Keegar1; 03-11-19 at 12:55 PM. It's a nice bike, but looks like it has replacement, lower-level brake levers and pedals. It will need a full overhaul. Try to get it for $150. It looks like the post has been up for about a month. The second ad being removed. Have you contacted the seller yet to verify the bike is still for sale? The first question is how tall are you. That bike would fit someone best between about 5'10 and 6' (ish). Then what are your goals. That bike will make a fine basic commuter bike, perhaps light on road touring or utility cycling. It will make a good Classic/Vintage bike if that is your interest, but won't necessarily stand out in the crowd. As @SurferRosa mentioned, the bike has been up for a while, and perhaps the seller is ready to deal. For a "project bike", I'd probably want the price as low as I could get it ($150-ish as mentioned). But, up to around $200 might not be bad if that is what you're wanting. A lot has changed in the cycling world in the last 30 years or so. Thanks for the responses everyone! I am around 5'11" so I think the fit should be okay. I'm mainly looking to use it as a commuter around town and maybe some short rides recreationally. I'm not really looking for any particular bike (whether it be newer or a classic) so I'm just not sure if buying something like this for around $200 if possible would be best or trying spending a little more money and getting a newer trek model for around $400. I have a similar model, similar vintage (1985 410). It's a comfortable (for me) sport/touring frame - but I completely rebuilt the bike with new components and wheels - $$$. In its original condition I found the gearing, shifting, 27"wheels, bars, brakes, etc. to be sub-par. I wanted the frame and fork as a base for the rebuild. If you want an around-town commuter that you can take on short rec. rides there may be other CL bikes out there with lower gearing, 700c or 26" wheels that fit wider tires, better brakes, a more convenient shifting mechanism, fender eyelets, etc. - in your stated price range. 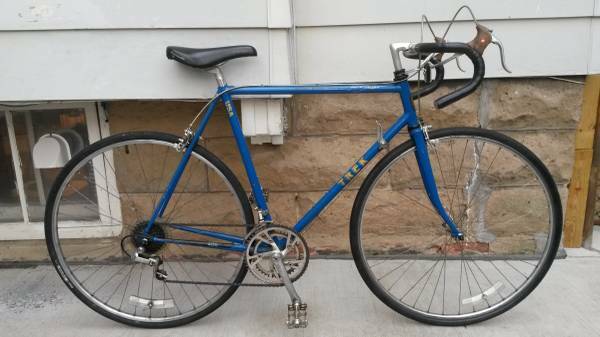 If you want a project bike then the Trek 400 you found would be a good start - for $200 or less. I have noticed that the Milwaukee CL seller you found is a Trek specialist and sometimes has 5 or more good, vintage Treks for sale at the same time. Seems pricey for condition. 27" will limit tire selection - would choose a 700c bike. 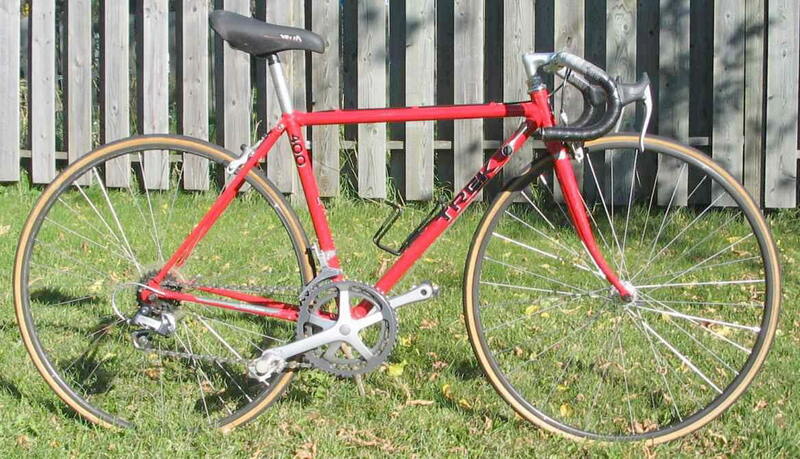 Trek 400's were well built bikes & there were many sold. So, not a real collector's item. Another one will come along soon enough. Value really comes down to the condition of wheels and tires. Make sure they're in top notch shape. Those look pretty well worn to me. So, I would offer far less than the asking price.